The funny pack model is a multifunctional nano bag: handbag, funny bag, shoulder bag, clutch bag, wallet, necessaire. Useful for travel and for comfortable daily use. Ideal for a modern and sporty outfit, to use fanny bag, while casual chic and really particular. The funny model is intended to be the protagonist of her oufit, but at the same time both practical and functional. And is multi-functional wallet that is stored inside. Small metal parts with anti-wear protection. Materials and 100% manpower made in Italy. Vegan certificate (Peta) - All fabrics are only vegan. 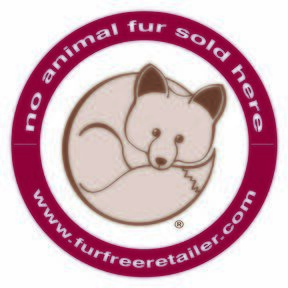 Product completely free of materials of animal origin. Adelaide C. was born in 2014 with the idea of sharing the personal vision of ethically correct and cruelty free fashion, through the eyes of Sardinian designer Adelaide Carta.A new concept of trend based on a green and eco friendly philosophy: Italian made, vegan materials, accompanied by crafted, printed and painted cork, which recall its essential origins, who are guide and inspiration of every project. This young brand looks forward to consolidate ethic and fashion in every of its products completely made in Italy.The leading actor is a revolutionary women in need for freedom, innovation and changes.Colours, often numerous and highly eye-catching, are playing within a customary and illusional normality, bringing to life a new fashion personal perspective.